Equiderma is such an amazing product my horse smiles everytime I spray it on him! I love Equiderma so much that I am a repeat customer over 5 times and have purchased not only the fly spray but also the shampoo/conditioner! I have gotten 3 of my friends to be faithful customers also and they love it just as much as I do! I can't imagine not having this product on my farm! I also love the little to go bottle for us horse crazy girls! Its the 1st thing we pack in our saddle bags before we head out on our rides! Thank You for making a product that works and does what it says it does! I will never go to anything else! Love it and so do my horses! Big Smiles to All Niki K.
I found Equiderma online. I was mainly looking for a good fly spray, but when I read about some of the other products, I thought I would give them a try. I ordered the fly spray, the lotion, the shampoo, and the ointment. 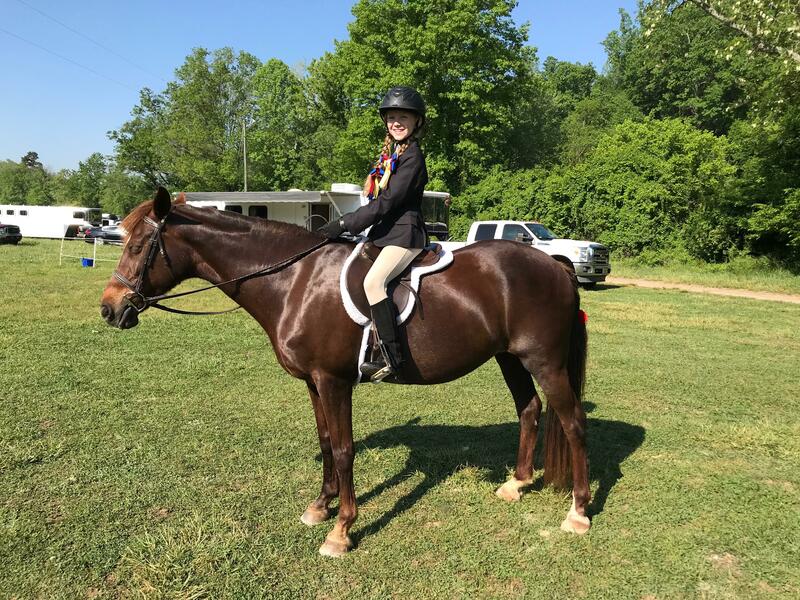 My daughter had her first schooling show in May and we had just received our Equiderma products in the mail, so we thought we would give the shampoo a try when bathing Daisy for show prep. We could not believe how shiny she was - just from the shampoo!!! It was amazing! We didn’t even need to use Show Sheen; she was THAT SHINY. My daughter had the shiniest pony at the show! I’ve always been a skeptic about a shampoo making much of a difference, but I am now a firm believer in Equiderma. 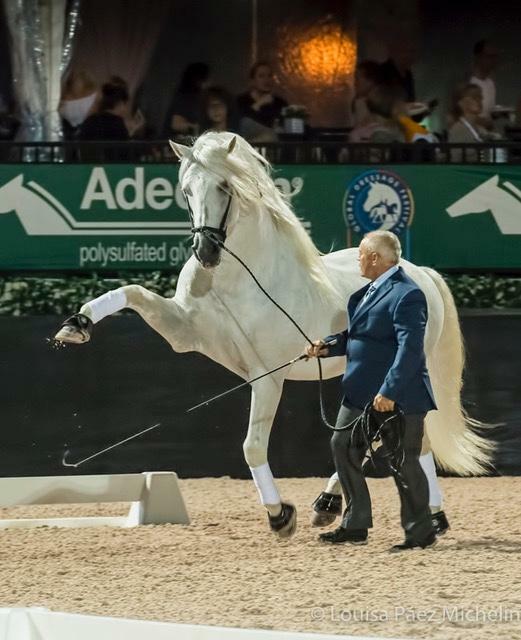 Not only was Daisy beautiful and shiny for the show, she stayed that way for a couple of weeks after bathing her that one time with the shampoo! It seems to repel dust and dirt (and our pony loves to roll!) Everyone at the barn was amazed at how well the shampoo worked. I am also very pleased with every other product I ordered. The fly spray works wonderfully; I even spray it on myself to keep the bugs away. Another horse got a big chunk bit off her hind quarters and after only a few applications of the ointment, the hair was already growing back. I just used the lotion for the first time today on a horse that has rain rot. Can’t wait to see how well/quickly the lotion will work! I can honestly say I have never been this impressed with any other product(s) I have tried. I love Equiderma and highly recommend it to everyone!!! Sabrina M.
Hundreds of dollars spent with the vet! 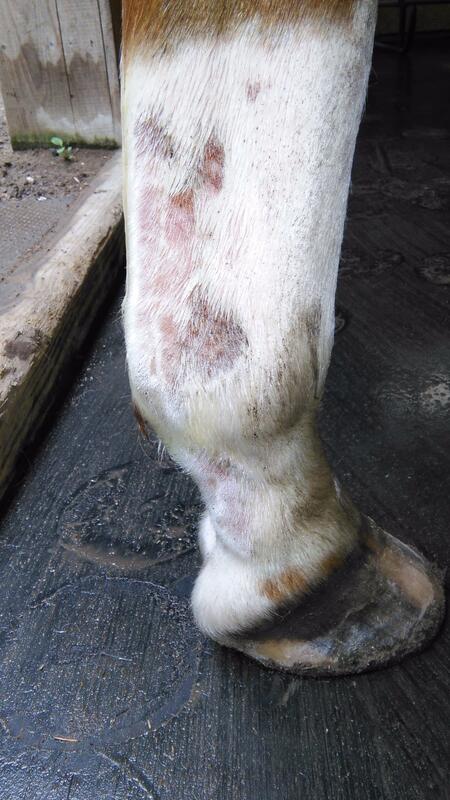 I literally have been working with two different vets to clear the “scratches” on Derby’s back leg. She was on oral steroids, antibiotics, and several topical creams. I was so frustrated with the lack of results. My vet was going to contact MSU veterinary clinic for addditional help. In the mean time, I decided to try Equiderma as it kept popping on my screen as I searched for answers. Well, I can stop now! Equiderma worked and I am ready to try the lotion and keep it on hand! Thank you!! 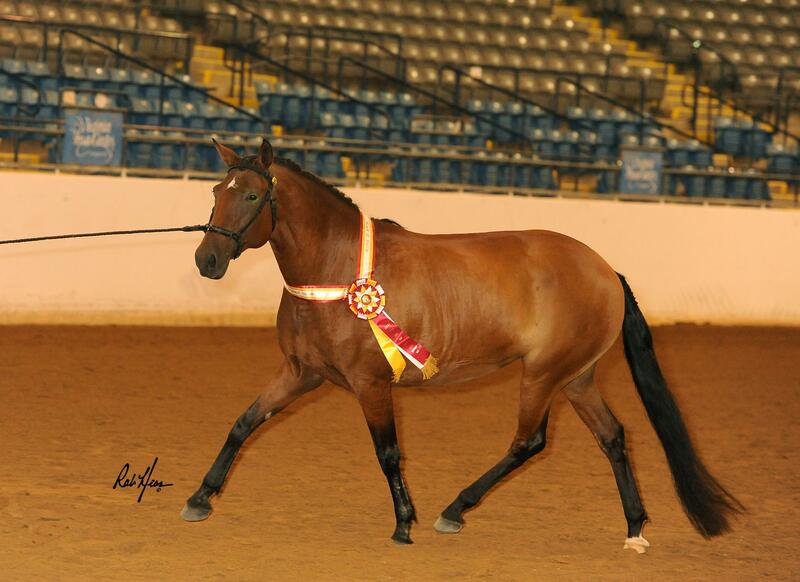 Kay W.
Neem Shampoo for horses can't be beat! 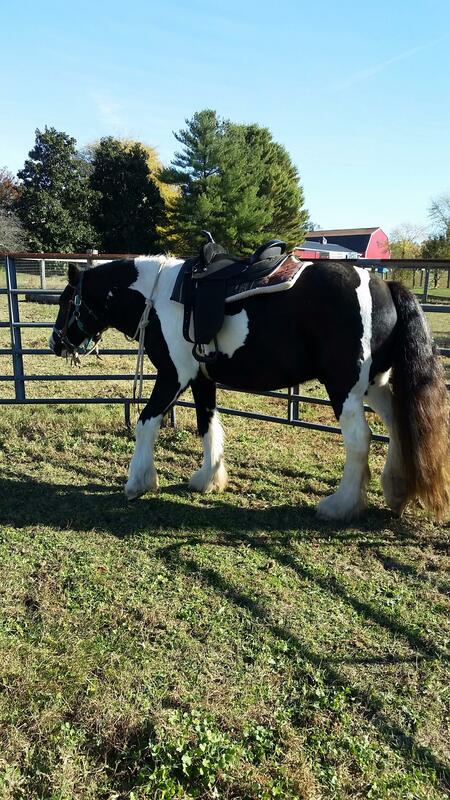 My mare's skin was starting to get dry with the changes in weather. Took a chance and tried Equiderma's Neem Shampoo for Horses. Her coat is so beautiful now. Despite the winter coat she is shiny and clean. She has not been scratching anymore either. 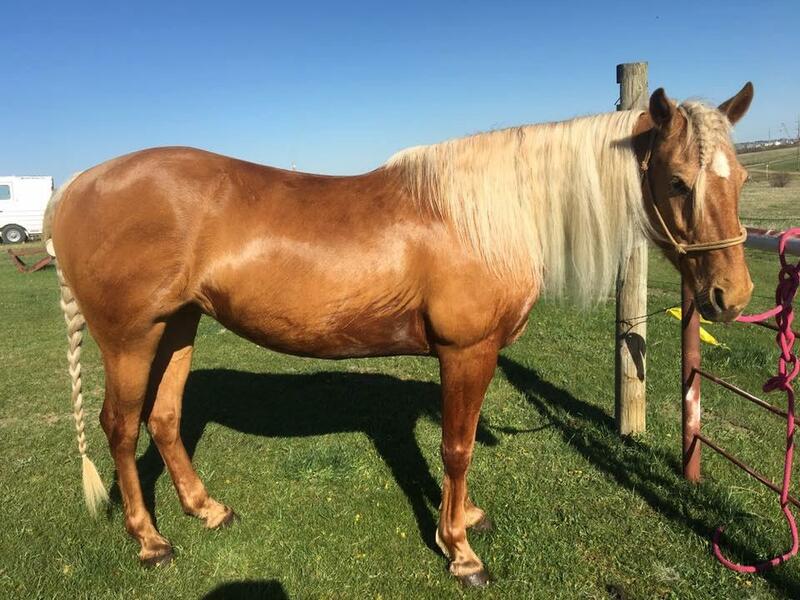 It has been a month since she was bathed and her coat is still shiny including her mane and tail which are also soft as can be. I am now a devoted user. 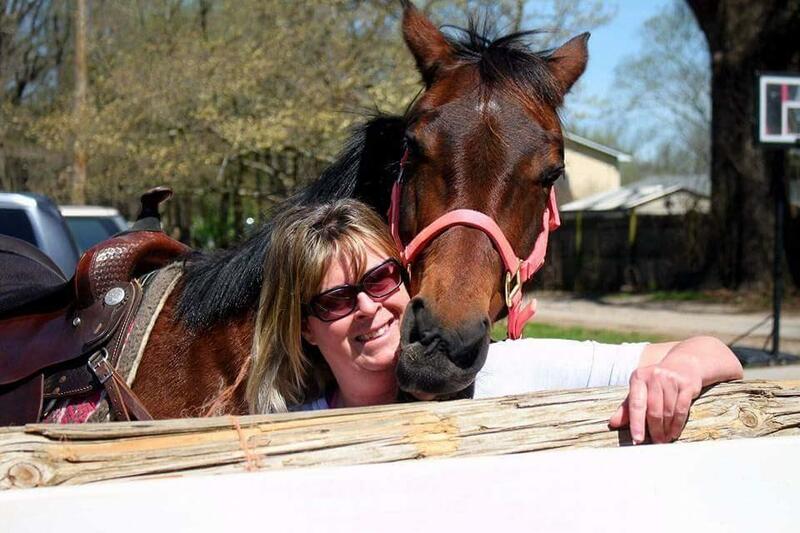 Dawn M.
My mare HOPE has always had sensitive skin. She itches and breaks out in hives regularly. I have used SO many products trying to help her. Finally a lady at the barn told me about Equiderma. I was skeptical of course. I order the neem shampoo, conditioner, and skin lotion. After only ONE treatment I saw a huge improvement. Hope was much happier and her coat was sleek and shiny for the first time in a year . I quickly went back and ordered 8 bottle of the fly spray , the udder cleaner and the wound care ointment. This is the ONLY products that will be used her on out for my girl. Thanks so much Equiderma! Jan W.
No more itch and look at my hair!!! Products are amazing. It's true the fungus literally wipes off in a day or two! Jeri C.
Horses with white legs! They're beautiful to look at but always seem to attract that greasy scruff. George gets really bad scruff on his hind legs no matter how often I wash his exercise boots or keep him out of the mud. My past fix was to just shave his legs so I could clean them easier. He does have a thick coat, so I figured if he got more "air" to his legs, the hair wouldn't trap the moisture and allow that scruff to come back. Only down side is that his legs would always puff up and I'd have to cold hose him for a few weeks. Then the hair would grow back and so would the scruff. As I was scrolling through Instagram, I saw and add for Equiderma lotion to help remove leg grease, and I was desperate for a fly spray that would actually work. Now, I'm not big on putting a ton of chemicals on my Horse, so I bought the Neem shampoo, fly spray, and received a bottle of skin lotion for free! I love all 3 products!! The fly spray works, it actually works!! After a bath with the neem shampoo, I put the lotion all over Georgies legs once they dried. The next day when I came up to ride, the scruff just brushed right off!! And, his legs never puffed up! I am a definite customer for life and would recommend any of these products to others:) Kelleigh M.
Bad case of scratches. Nothing worked until I discovered Equiderma products! This case of scratches was persistent to the point of scary. The vet gave me a treatment protocol that only made it worse. While searching on the internet I found the Equiderma products. Discussed my case with Bethany, who was very helpful, and started using her products. I knew I was on the right course when I started to see the swelling subside and the scabs begin to wipe off. Continued diligence twice a day, using the Equiderma lotion on the infected area and the zinc oxide paste around the perimeter to prevent any spreading along with careful sanitary precautions eventually lead to complete healing! It took time but persistence and constant vigilance with the Equiderma products paid off. I highly recommend these products, they worked wonders. Thank you Equiderma! Lisa S.
Equiderma Neem oil bug spray kept the bugs at bay letting us get some really amazing pictures during our photo shoot this summer. We live in the Sandhills of North Carolina and in the humid summer heat the bugs are uncontrollable. I hate using poison chemicals on my horses that inevitably I end up wearing a good deal of it too. When I found the ad for Equiderma I had to try it knowing it was all natural and safe for me too. I couldn't have been more happy with the spray as it instantly dropped the biting flies and the gnats and other biters all vanished. The respite from all the nasty bugs let us get some amazing pictures during our recent photo shoot. Caspian looks amazing and he was so relaxed with the break from all the nippers and biters flying around him. A few days later, I found my husband using it while he was out in the fields working on the barns. He was excited that it was all natural and actually worked so well! We are sold on Equiderma and it will be a permanent staple in our barn and our house. 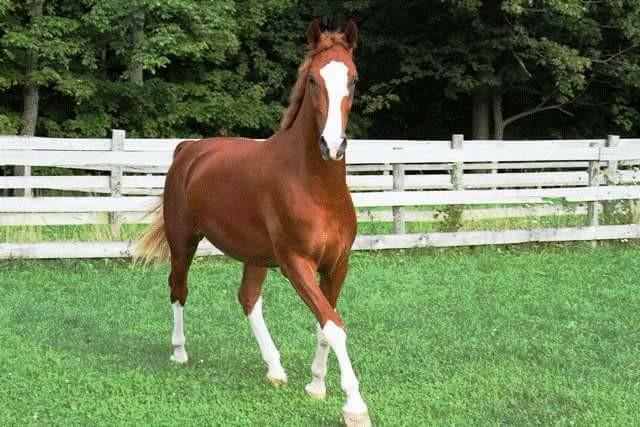 Lorinda M.
All pretty after her Equiderma bath!!! 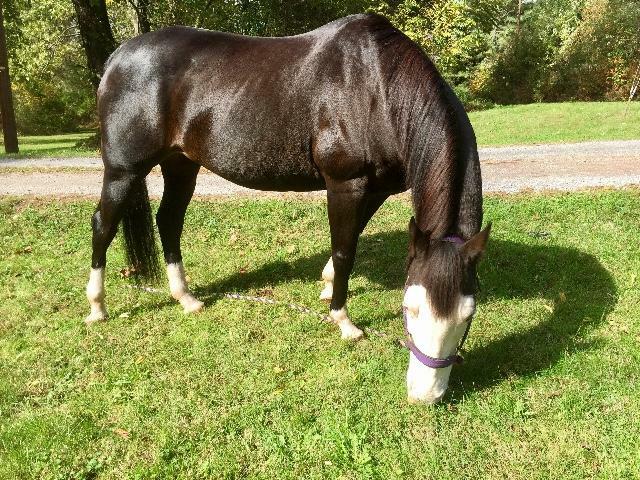 I've bathed my mare Hunny before, but she has never looked this incredible after. With other shampoos I've used her hair has become a bit dull, it has taken multiple washes to get her tail clean, she would be itchy, and it would take absolutely forever to get the shampoo out! This time, it took one wash to get her tail clean, her hair was shiny, it didn't take me multiple rinses to get the shampoo out, and she dried so quickly I didn't hardly need to squeegee her off. She looked like a princess Malibu Barbie horse! My eyes were hearts :) Everyone complemented us at the clinic the next day! I'm so excited to use this on my pony next! Chantel W.
My mare has had extremely bad allergies to some kind of biting bug here in North Carolina. I have tried everything including allergy shots. Though they helped some they did not relieve the itching. Equiderma shampoo applied straight from the bottle, waiting 30 minutes, then rinsing off. Effect was amazing! She was calm in her own skin!!!!!! And the Fly Spray is the first I've found the works longer than 15 minutes!!!! Victoria M.
Amazing products that really work!!! Our 22 year old Morgan had been suffering for weeks with skin problem in between his front legs and under his belly. I tried prescription medication as well as various shampoos, sprays and topical lotions. I had almost given up hope of finding relief for this condition but after seeing a Facebook Ad for Equiderma I decided I had nothing to lose. After only one shampoo and several treatments with the lotion my horse was feeling much better and looking forward to his new treatments! He actually relaxed and put his head down with apparent relief during and after each application of the lotion!!! Now after about 2 weeks you wouldn't even know his previous skin issues existed. I'm a believer these products are wonderful and I will definitely be purchasing again!!! 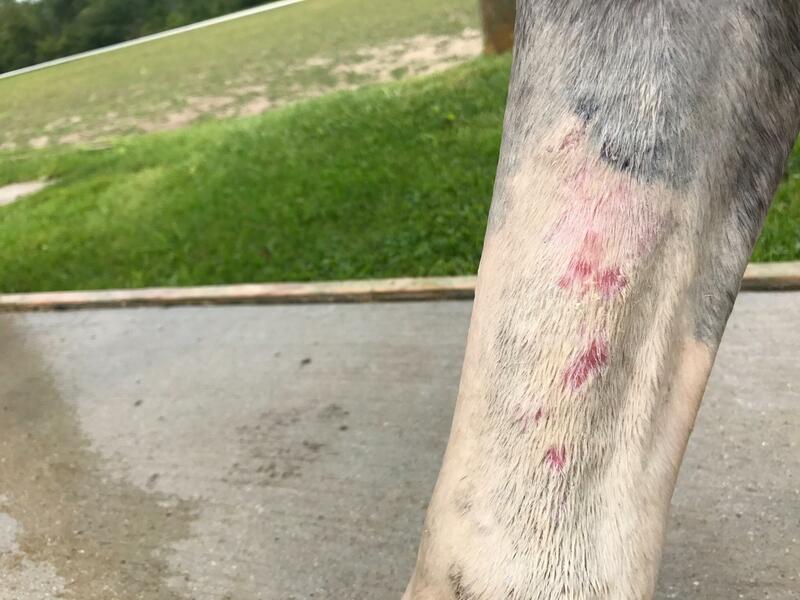 Kathy H.
My horse Rio suffered from horrible crusty scabs on his entire body. The scabs were horribly itchy and he would rub his skin raw trying to get relief. I tried everything, from over-the-counter topical's to prescription medicine from my veterinarian. Nothing brought real relief. I had purchased a neem oil product for humans and it still brought no relief. Finally I discovered Equiderma while researching natural remedies. I ordered the shampoo and lotion with some speculation based on my experience with previous products. The results after one shampoo and three days of applying the lotion were astounding. Rio finally had relief and with daily grooming the scabs went away and did not come back with use of the lotion. 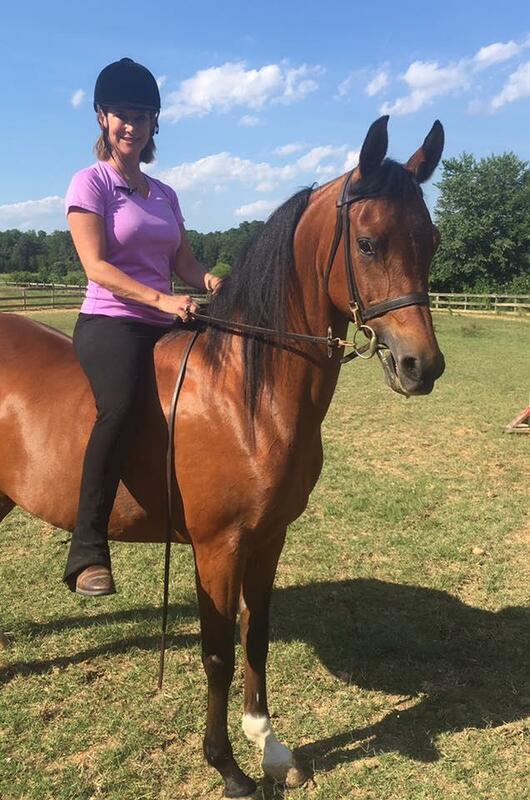 Equiderma was our saving grace and it was the best purchase of a horse care product that I have ever made. 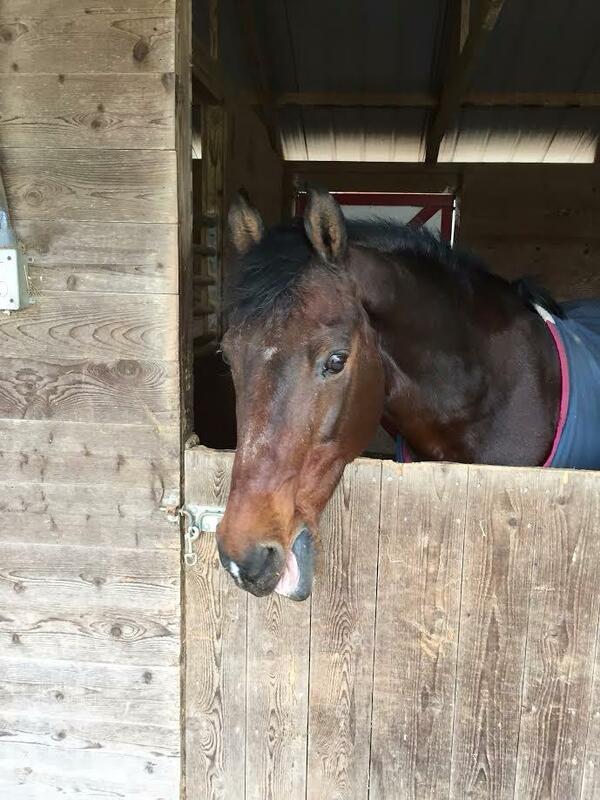 Rio looks great now and when scabs occasionally appear the Equiderma shampoo and lotion soothes it immediately. Charlene H.
This is Semi Sweet Version or Snookie's first summer in Florida. She developed allergies once the rainy season hit. 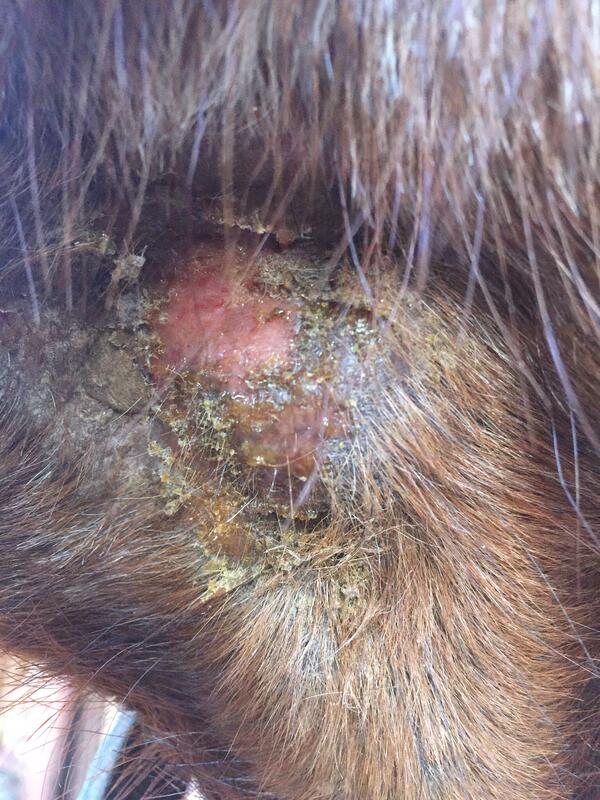 They Vet gave me ointments to apply to her skin and the very next day she was worse and had a reaction to it. 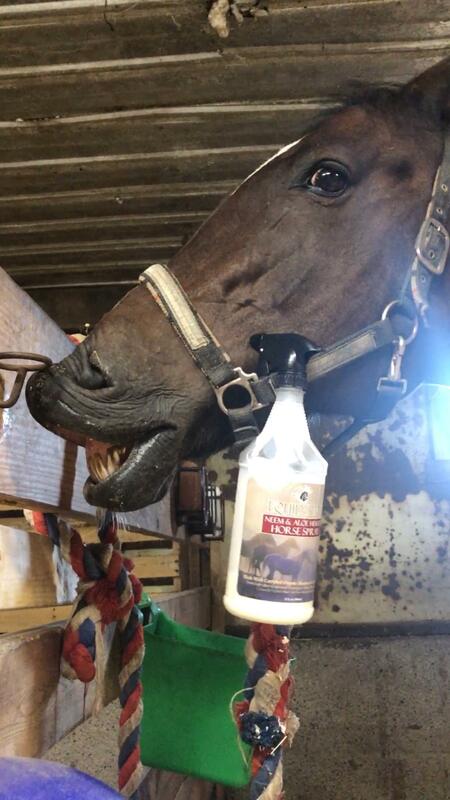 Someone at the barn recommended equiderma so I ordered the lotion and shampoo. I used the lotion every other day and shampoo everyday until her skin cleared which was less than a month! I am so impressed with the products and I know Snookie is so much happier! Plus it is all natural ingredients that I know are good for her! Brooke H.
I have been using Equiderma products for about a year now. I started by buying the conditioner and the zinc oxide paste. The zinc oxide made scratches on her foot disappear and I didn't have to worry that I was using harsh chemicals on my horse. Since I had such good success with the other products, I decided that I was going to try the Horse Spray. I was again very pleased with this product. It smelled good and I felt good putting it on my horse knowing that it wasn't full of harsh chemicals. As well as the fact that I wasn't breathing in harsh chemicals. BUT, most of all, it WORKED. I put it on my horse as she was standing there swishing her tail and stomping her feet and then suddenly I noticed she stopped and stood there no swishing, no stomping and taking a sigh of relief. She used to move around when I would spray her, but now its as if she knows this is good stuff that works. Thank you for making better products that we can feel good about using on our horses. Karen B. Lots of hair to clean and condition! I am thrilled with your equiderma shampoo and conditioner and fly spray! 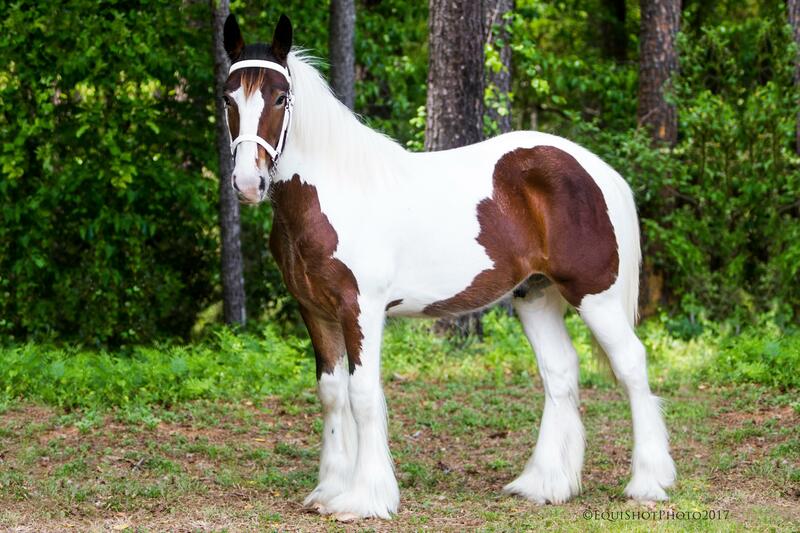 Me gypsy vanner has tons of hair and your product leaves him squeaky clean and soft. Any little fly bothers him and I have found your neem fly spray is the only product that works for hours at a time and smells great too. I use the fly spray for me also and will never buy anything else again. Thanks for a wonderful product!! Marianne V.
My horse, Glamouroz, is extremely sensitive. She doesn't like anything touching her skin and gets especially fussy when flies and gnats are on her. 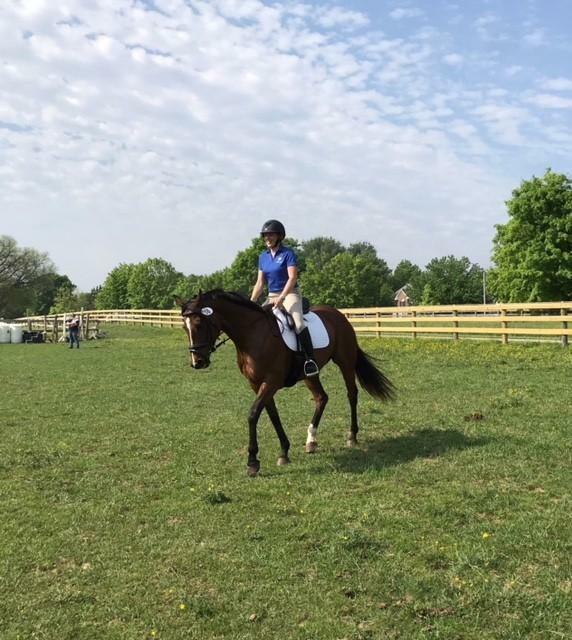 I tried five different (highly recommended) fly sprays, natural concoctions, balms, and other recommendations - none worked to keep the flies off of her in the outdoor arena. It made it almost impossible to school her effectively. Then one of the girls in my barn bought the Equiderma Neem & Aloe Natural Horse spray. She let me borrow some for Glam...and IT WORKED!!! We are now able to train in the outdoor arena without Glam being bothered by flies and gnats. I am beyond grateful for this product!! My horse is happy again. I use it on myself and am happy again riding outdoors. Thank you. Thank you. Thank you. And her coat looks amazing. Our entire barn uses Equiderma products now! Anne S.